The CBI opposed the bail plea saying that tampering of evidence and influencing witnesses in the case was a possibility. 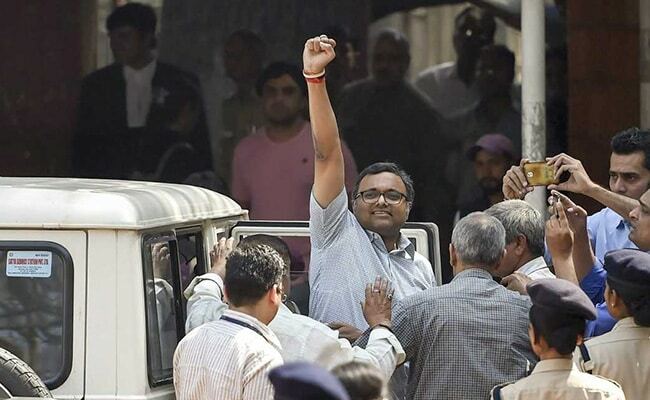 Karti Chidambaram has challenged the special trial judge order refusing to grant him bail. New Delhi: The Delhi High Court today reserved its order on the bail plea of Karti Chidambaram, son of senior Congress leader P Chidamabaram, in the INX Media corruption case lodged by the CBI. Justice S P Garg heard the CBI and Karti's lawyer and reserved his decision. The agency also alleged that Karti Chidambaram has tampered with certain evidence.